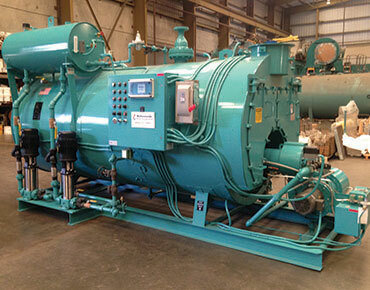 For projects that require a smaller footprint, skid-mounted rental boilers are offered with capacities up to 200,000 lb/hr and operating pressure to 750 psig (superheat and hot water boilers are readily available). These boilers can be shipped anywhere in the world and Nationwide Boiler offers several different delivery options to meet any time frame. 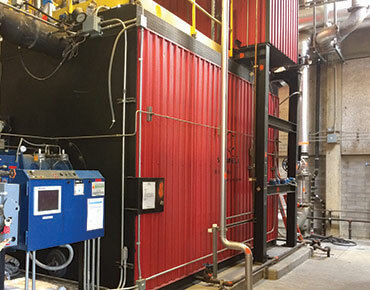 Smallest footprint - Since there is no housing or running gear associated with the skid-mounted boiler, it is possible to place a higher-capacity system in a smaller space. Most economical - Although there are rigging and handling costs at the staging yard and the using facility, for some long-term rentals those costs can be offset by lower boiler rental charges. One of the largest fossil-fuel based, electric-power-generating facilities in the U.S. is operated at Moss Landing, California. Two oil-fired boilers provide steam to two steam turbines which, in turn, drive two 750 megawatt generators. 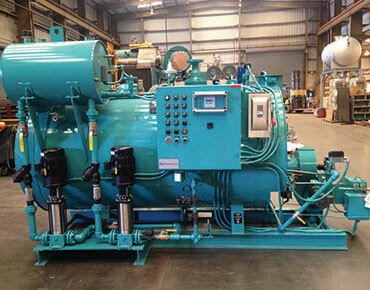 When a system is taken off line for maintenance, superheat steam is required during the system restart. Occasionally, both boilers that provide steam to the two turbines at the Moss Landing facility must be taken off line at the same time. When this occurs, an auxiliary steam supply capable of providing 700 F steam is needed to pre-heat the system and draw a vacuum on the condensers. 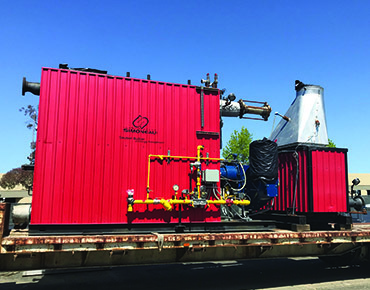 Because of the strict environmental standards, emissions produced by any boiler used for this purpose must not exceed 25 ppm NOx and 50 ppm CO.
A 55,000 lb/hr, 700 F skid-mounted package boiler rental was available in stock at Nationwide Boiler's Fremont, California facility. 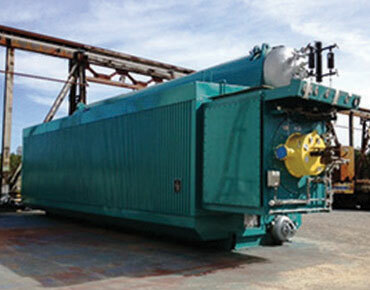 Although this boiler had sufficient capacity and met the steam temperature and pressure requirements, it did not meet the current NOx and CO emission limits of the Monterey Bay area at the time. The boiler was retrofitted with a new low NOx burner. 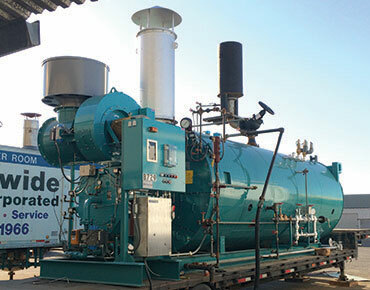 After installing the new burner, the boiler was fully tested at the Nationwide Boiler test facility. 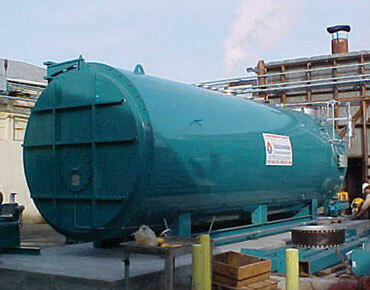 Because of the salt-air environment and since plans called for using this boiler only twice each year on average, special protection was provided. This protection consists of all NEMA 4X electrical enclosures and panels, Sealtite conduit, special priming and exterior paint, and a dry nitrogen blanket system that maintains a positive pressure of 10 inches of water inside the boiler. The protective inert-gas environment is used whenever plans call for a boiler to be out of service for an extended period. Nationwide Boiler delivered the complete, fully tested boiler system with the low NOx burner. The boiler was installed with the support of Nationwide Boiler technicians and was currently available for service whenever needed to support start-up procedures. Actual emissions fell well below the required limits. Third-party source tests confirmed levels of 15 ppm NOx and 10 ppm CO at full-load conditions.